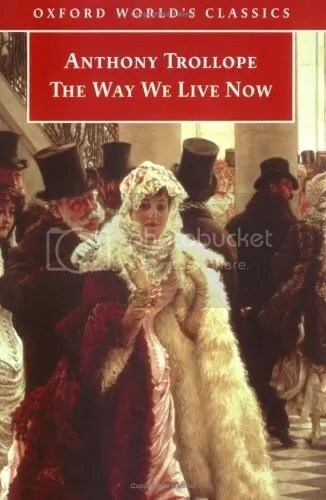 One of my favourite Victorian novels is Anthony Trollope’s The Way We Live Now. Even though it is meant as a satirical novel and most characters and events are probably exaggerated, it seems to give quite a good image of Victorian society. The book started as a series in the newspaper, which is visible in the many, many subplots. It is almost like a Victorian soap series! It deals with a bussinessman, who swindles people with crooked railway stock, a young baronet who tries to elope with a lady to use her money to gamble, a hack writer who tries to seduce newspaper owners so they will give her good reviews, and a girl trying to choose the right man to marry. the novel is available online but in this case, I’d advise to buy an actual copy (it’s sold for around 11 USD on amazon) since the book is very long. I adore Anthony Trollope and once read 13 of his novels in a row (of course I was younger and had more free time, since I was a grad student, lol)…TWWLN is terrific, and I believe that Tom Wolfe was inspired by it when he wrote Bonfire of the Vanities. I’ve only seen the miniseries of this book starring Matthew MacFadyen, David Suchet, and Shirley Henderson. I thought it was fabulous. With all the Victorian literature that I’ve read, I’ve never read Trollop. This post inspires me to fill the gap. Lidian, I suspect you’re right about Wolfe and TWWLN, even though I haven’t seen it specifically stated. He was enormously influenced by the form of the Victorian novel, with it’s large number of characters and interwoven plot. One thing I’ve read for certain is that his favorite novel is Vanity Fair. I’ve read that one. And maybe if I’d ever read any Trollope, I wouldn’t leave the “e” off the end of his name. I’m going to the bookstore tomorrow! David, I hope you’ll enjoy Trollope! He definitely wrote some great books.